The Albion duo of Michael and Tanya Trotter has impressed critics with its new album, which led the way on a chart that also featured four more new entries, including Peace to Mateo and Joshua Davis. August boasts a whole new slate of regional artists. 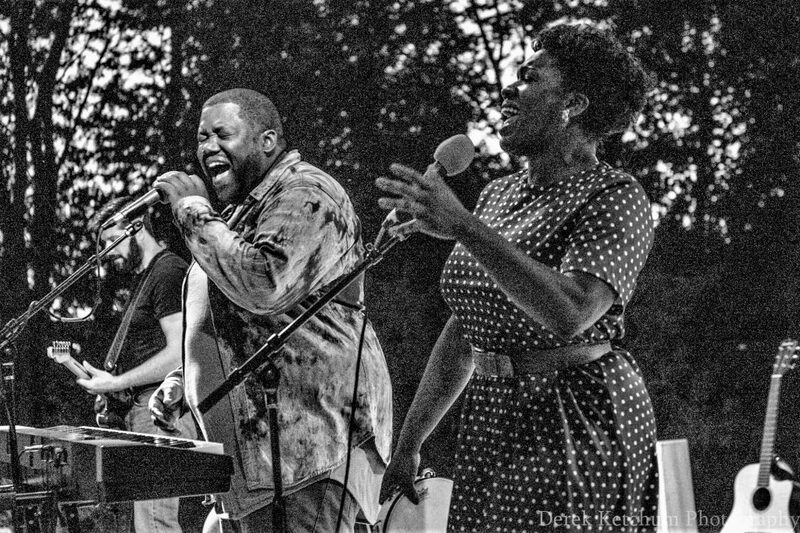 Suffice to say, Michigan’s The War and Treaty has captured the hearts of national media outlets – not to mention pretty much every fan who has seen the exuberant, Albion-based duo of Michael and Tanya Trotter perform live. 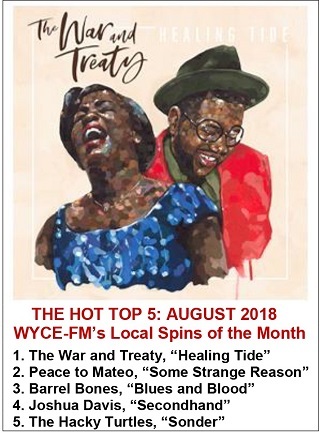 So it’s no surprise that their brand new, Nashville-fueled studio album, “Healing Tide,” would also jump straight to the top of the Hot Top 5 for August – the regional release that earned the most airplay at WYCE (88.1 FM) last month. Much-respected guitarist Buddy Miller produced the 11-track album, calling on an incredible cast of guests, including Emmylou Harris, Brady Blade and Sam Bush. Listen to songs from all five releases via the Local Spins Top playlist at Spotify below.